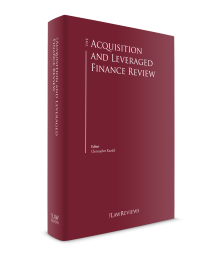 The use of acquisition finance provided by a bank or bank syndicates in order to finance M&A deals is the most common form of finance in the Danish market. Before the financial crisis, around 80 per cent of the purchase price in most deals was leveraged, or 'geared',2 and while this has now fallen back, leveraged finance remains key to the investment cycle. While leveraged finance in Denmark continues to be dominated by 'senior loans' from large investment banks, the growth of alternative debt providers representing smaller banks providing mezzanine loans in return for equity (junior loans) represents a diversification in the source of acquisition finance. In addition, the state-backed Danish finance institute Vækstfonden – that has recently seen its mandate increased significantly – plays a huge role in providing finance to small and medium-sized enterprise market deals, especially within emerging technologies and internationalisation. In order to promote innovation and entrepreneurship, the government decided in 2018 to reduce capital requirements for limited liability companies, plcs to 400,000 kroner. Capital requirements for private limited companies remain 50,000 kroner. Furthermore, the government introduced the iværksætterselskab, a new form of limited liability company that is similar to the private limited company. There are no minimum capital requirements when the company is founded. However, the company is obliged to save 25 per cent of net income until the capital reaches 50,000 kroner. Be aware that these companies have been heavily criticised in the public sphere for fostering suspicious creditor shelters, and it is uncertain if this company form will continue to remain an option in the future. Banking and financing services provided in Denmark are primarily regulated by the Financial Business Act,3 which dates back to 2004 combining regulation for all financial institutions. Danish-domiciled banks must be licensed by the Financial Supervisory Authority (FSA). Other EU and EEA regulated banks may also conduct business in Denmark through the cross-border freedom of services rules (passporting) or through a branch office registered in Denmark. The formalities follow the principles stated in the EU Credit Institution Directive,4 Articles 25 and 28. Non-EU banks must register a company or a branch office subject to a licence from the Danish FSA. A formal licence in one of these three ways is required only, however, if the bank conducts business in Denmark and does not prevent any foreign-licensed bank from granting loans or credits or participating in any other way in the financing of a Danish transaction and receiving security from Danish assets when being passively approached by either the target company or the investor. Securities that are offered to the public or a wider circle of purchasers must be offered on the basis of a prospectus prepared in accordance with the EU Market Abuse Regulation,5 previously regulated by the Securities Trading Act.6 The Market Abuse Regulation excludes offerings to professional investors and to a narrow circle of prospective investors (less than 150) and larger individual investments (greater than €100,000 per unit or a sum taken by a single investor). Securities include, inter alia, equity shares and bonds. The listing requirements from the Market Abuse Regulation are detailed in the NASDAQ rules for issuers of shares and the rules for issuers of bonds. NASDAQ also operates the First North trading platform. However, First North has not been considered a success and few new companies have been floated on First North in recent years. At present, there is no effective over-the-counter platform in Denmark. In 2018 the Swedish stock exchange AktieTorget announced that it has decided to enter the Danish IPO market for small- and mid-size companies under the name Spotlight. The reason is that over 20 Danish companies had been listed on AktieTorget but the Danish companies had to reincorporate into a Swedish corporation, which increased the administrative costs and bureaucracy. Growing focus on anti-money laundering has resulted in amendments to previous legislation that also add to the requirements for financial institutions to scrutinise clients and transactions. Examples include the Anti Money Laundering Act No. 651 of 8 June 2017 and the amendment to the Companies Act No. 262 of 16 March 2016,7 Section 58a introducing a requirement to identify real owners of corporations, etc., with a stake exceeding 25 per cent (or less where control may still be exercised, e.g., through board representation or veto rights) and register their names in a publicly available register from 1 December 2017. To this end, the physical persons behind offshore structures must now be registered in the Danish public register. We have yet to see the effect this might have on foreign investments into Denmark. In 2017 and continuing in 2018, the issue of money laundering hit the public agenda because of a large financial scandal involving the largest Danish banks, primarily Danske Bank (which is accused of large-scale money laundering in its Estonian branch), but also Nordea Bank. The scandal also hit the front pages of the international financial news, since the branch had thousands of suspicious customers responsible for over €200 billion of transactions over nine years. As a result, the CEO has resigned, and a large police investigation has been launched. As a consequence, Danish money laundering legislation as well as the oversight by the Danish FSA have been significantly strengthened. The increased 'know your client' requirements for financial institutions when onboarding new customers often also proves a very cumbersome, time-consuming and costly process. Also, the CRR Regulation8 and CDR IV Directive9 and various recent implementations from the MIFID Directive into Danish legislation have added to the regulatory requirements for financial institutions. This, in turn, continues to be a challenge for smaller banks where the cost of compliance requirements is relatively high and reduces the number of genuine local competitors in leveraged financing, and opens up the possibility for foreign bank financing of large transactions and alternative (non-regulated) financing for smaller transactions. Certain mid-sized banks, even those ranking at the bottom of the top 10 list, will often refuse to take on foreign customers. Leveraged financing must consider both tax rules for debt financing costs, dividends, interest payment and withholding tax; and exit tax on profit from the investment. Also, the rules available for tax consolidation and intercompany transfer pricing must be considered. Transfer pricing rules in particular may offer special challenges, as their interpretation depends on the nature of the individual transactions and requires detailed analysis of the specific case. Dividend distributions from a Danish company are generally subject to a 27 per cent withholding tax; see below. Capital gains from the sale of shares in a Danish company owned by a foreign corporate investor are generally not taxable in Denmark, but only in the country where the investor has its tax domicile. Where the transaction also includes a loan to the target company, whether offered by the investor or by a third-party local or foreign financing partner, the interest payable on the debt can be deducted for tax purposes by the Danish target company and is taxable only in the country where the creditor is tax-domiciled. There is no withholding tax on interest payments from Denmark. Where the investor is also the lender, transfer pricing issues must be considered to ensure that the interest rate corresponds to the market rate. There are special rules for debt in certain thinly capitalised companies and passive foreign investment companies. Danish corporation tax is 22 per cent (2017) of the calculated net income from all sources except dividends received from shareholdings exceeding 10 per cent in other corporations. The taxable income is calculated after depreciation on certain assets. Losses from previous years can be deducted without time limitation (since 2002). Tax losses are lost, however, in the case of tax-free mergers and where more than 50 per cent of the ownership at the beginning of the tax year has changed at the end of the tax year, either through transfer of shares or contribution from new shareholders. Danish group companies, in other words, the parent company and its subsidiaries defined as companies owned or controlled by the parent company, are forced to participate in a joint taxation scheme. Joint taxation with foreign group companies is also possible, provided that all foreign group companies are included in the joint taxation. The choice is binding for a period of 10 years and can be prolonged for another 10-year period. There are no withholding taxes on interest payments. Dividend distribution from a Danish company is subject to a 27 per cent withholding tax (see below). However, many double taxation treaties reduce the effective tax to 15 per cent or even lower, and allow the shareholder to apply for a refund of the excess amount. If the shareholder has its registered office in the EU and is the holder of more than 10 per cent of the shares in a Danish company, according to the EU Parent-Company and Subsidiaries Directive,11 the dividend distribution is tax exempt and the entire withholding tax can be refunded. If the companies are registered as tax group companies, there is no withholding tax. In recent years, these rules have been abused in a number of countries, including Denmark, where tax refunds have been wrongfully claimed. In Denmark, this has caused a significant loss for the Danish tax authorities, for amounts in the billions of euros. For that reason, the administration of the rules has been tightened. There has also been political criticism of the opportunity for non-EU investors to organise investments though an EU vehicle created for the purpose, thereby benefiting from the favourable EU rules, although the profit is ultimately passed on to an investment holding company in a tax haven jurisdiction. So far it is recognised, however, that these constructions do not violate current legislation and must be accepted. The Danish Companies Tax Act,12 Section 11 allows the tax authorities to limit tax deduction where the debt/equity ratio exceeds 4:1. In such case, interest expenses for the part of group debt exceeding the 4:1 ratio limit can be excluded from interest payments. Through the EU Directive on tax avoidance practices,13 from 1 January 2019 Member States must apply the measures stated in the Directive to prevent companies from exploiting national mismatches to avoid taxation. The rules will limit the interest deduction to 30 per cent of EBITDA or €3 million. In any leveraged finance transaction, there are two different financing aspects to consider: financing the acquirer's investment in the equity of the target company and financing for continuing business of the target company, especially where the previous shareholders have been backing the operating capital of the target company and wish to be released from guarantees or satisfied for outstanding loans. Special issues arise when these elements are connected, because the acquirer wishes to use the assets of the target company as collateral for the financing of the equity or the creditors of the target company wish to secure the support from the acquirer, especially where the acquirer becomes a majority shareholder. In Danish law, downstream support is allowed whereas upstream support is possible only to a limited extent. Acquisition financing can be secured through the pledge of assets belonging to the acquirer. As the shares in the target company do not belong to the acquirer before they have been purchased, there must be an element of open credit if these shares are intended to be the only assets securing the financing. As described in Section III.ii, there are some possibilities, however, for a target company to secure the purchase of shares in the target company. On the other hand, the shares in the acquiring company may serve as security for the financing of the acquisition of the shares in the target company. These shares are owned by the shareholders in the acquiring company, and they must agree to pledge the shares if that is required from the financing company. The pledge may be offered for an interim period only until the target company shares become available for pledging. Alternatively, the shareholders of the acquiring company may be asked to offer a guarantee or surety for the debt owed by the acquiring company. The debt may be structured as corporate bonds issued by the acquiring company, either as stand-alone debt or secured by the shareholders or other third parties. However, corporate bonds are rarely used except in very large transactions due to the cost of creating and selling the bonds. Pledges of shares may be supported by surety; this is probably the most common security for financing the acquisition price. The pledge is provided through a simple agreement and perfection by notification of the pledge to the issuing company, and a notation thereof in the company shareholder register. For shares representing more than 5 per cent of the total share capital, notification to the official register of owners kept by the Danish Business Authority is also required. There is no stamp duty. In the unlikely event that the shares are negotiable instruments, the share certificate representing the shareholding must also be endorsed and handed over to the beneficiary for the pledge. A supporting surety is also executed as a simple undertaking by the guarantor delivered to the creditor who benefits from the surety. Financing the future operating capital of the target company is more commonly secured by intragroup loans. The loan is defined in a promissory note signed by the debtor and delivered to the creditor. There is, therefore, no stamp duty incurred there either. No perfection or other registration is required. For that reason, both pledge of shares and intragroup loans can be easily provided and arranged to come into force immediately after execution and be available upon closing. rights of retention are exercised based on actual possession as pressure to secure payment of the agreed compensation; possession is also perfection. Although an asset has been pledged, it is possible to create a second-ranking security over the same asset to benefit from possible excess value in the asset over and above the priority pledge. A similar situation can be created for debt instruments with or without security. Where a debt is labelled as mezzanine to an identified senior lender, there is an intercreditor agreement whereby the mezzanine lender accepts not to be paid before the senior lender has been fully satisfied for his or her loan. This arrangement is often administered by a security or financing agent who is paid by the debtor; funds are distributed in order of priority. It is also allowed to make ordinary business transactions between a company and the circle of persons mentioned in Section 210, even though such transaction results in an element of credit and thereby effectively a loan. A Danish limited liability company may not grant loans, security or guarantees, or both, to assist the financing of the purchase of shares in the same company or its direct or indirect parent company. However, since 2008, the Companies Act, Section 206, has in certain circumstances allowed a company to offer loans or guarantees to finance the purchase of shares in the company, provided the amount offered could be distributed as dividends and the financing has had prior approval by the general meeting of shareholders and been published through the Danish Business Authority (self-financing). If the acquiring company is able to raise interim financing for the purchase of the shares based on an expectation that a subsequent distribution of dividends will allow the bidder to repay the loan, there is no need for the use of Section 206. On the other hand, Section 206 allows the company to fund the purchaser with the full amount available for distribution despite the fact that the bidder is not purchasing or subscribing for 100 per cent of the shares and therefore would not receive 100 per cent of the dividends when distributed. That is the reason why the support must be accepted by the (other) shareholders in a general meeting of shareholders. A Danish company may distribute profits to its shareholders, provided the amount can be taken from accumulated profits excluding undistributed profits from subsidiaries, and provided further that in the opinion of the board of directors the company is left with sufficient operating capital after the dividend distribution. An ordinary distribution of dividends is decided by the annual general meeting of shareholders when the annual report is presented to and accepted by the shareholders; however, the general meeting cannot decide to distribute an amount above what has been suggested by the board of directors. According to Section 182 et seq., it is also possible to distribute dividends outside the annual general meeting, and the general meeting may authorise the board of directors to distribute extraordinary dividends. The amount available is the same as the amount stated above, however, with due consideration to the operating result during the interim period from the end date of the last annual accounts. In public limited companies, an interim balance sheet must be prepared if more than six months have passed since the end date of the last annual accounts, which is almost always the case since most annual general meetings are held more than four months after that date. Despite the fact that a company is controlled by another company – or even owned 100 per cent by that shareholder – each company must be treated as a separate entity and first and foremost consider its own interests. For that reason, a subsidiary company may not engage in any transactions with other group companies where the transaction operates against the interest of the subsidiary company, as the shareholder may not exercise its controlling interest to its own advantage where there is a conflict of interest. If it does so nevertheless, not only the company, by also the persons who have participated in the decision, may be held liable to pay compensation. A company can be placed in bankruptcy when it is facing insolvency (i.e., when it cannot pay its debts as they fall due, and the situation is not of a temporary nature). Either the company itself, represented by the board of directors, or a creditor may submit a petition for bankruptcy. Even though a company is not considered to be insolvent, it may be decided to close it through a solvent liquidation, or the Danish Business Authority may decide to ask the probate court to close the company if it has not filed its annual accounts within the time prescribed (five months after the end of the fiscal year). If during that process the company is found to be insolvent, the process changes into bankruptcy proceedings. According to Section 119 of the Companies Act, the management of the company must ensure that a general meeting of shareholders is held within the six months after the management becomes aware of the fact that more than 50 per cent of the registered share capital has been lost with the purpose of proposing to the shareholders how to address the situation. It is not a requirement to close the company or even to file for bankruptcy if management can secure financing until the equity capital has been restored, for example, through a parent company loan. Alternatively, it may be decided to increase the share capital or to structure a loan as subordinated to other debt. For this reason it is normally advisable to keep the nominal share capital in a Danish company as low as allowed by law and to pay additional capital as share premium. If the company is placed in bankruptcy, there are certain regulations in the Danish Bankruptcy Act16 that allow the receiver to seek to claw back payments made to closely connected parties such as a parent company or security offered for existing loans shortly before the bankruptcy. Fresh loans can be granted against security offered by the debtor and will be respected if the security is perfected simultaneously when or before the loan is paid out. The general clawback period is three months, but particularly with regard to closely connected parties the period can be as long as two years or even without limitation if the company was insolvent when the transaction was made and the participating party was aware of that fact or ought to have been aware of it. The period is calculated from the time when perfection was effected where perfection is required. Without the required perfection, the transaction can simply be set aside by the bankruptcy estate. In a bankruptcy scenario, the priority of claims is set out in the Danish Bankruptcy Act, Sections 93–98. Although the general principle of Danish bankruptcy law is equality of the creditors, dividends of a bankruptcy estate are paid according to different classes of claims, each pertaining to a varying level of priority. Only when all claims enjoying a higher priority within one class of claims have been fully satisfied will the next class of claims receive dividends. If, in the event of bankruptcy, remaining assets of the estate are insufficient to satisfy all outstanding claims of any class, the claims will receive dividends pro rata (e.g., all claims are covered by up to 20 per cent). third priority: claims for presents. It is important to note that claims that are secured by way of a charge over certain assets, guarantees, etc., are first settled with the proceeds from such secured assets, etc. (i.e., outside the ordinary order of claims). Any unpaid balance can be filed as a claim in the normal priority of claims. Secured assets fall outside those assets of the estate that are used to satisfy unsecured claims. Intercreditor agreements (i.e., agreements between multiple creditors regulating the priority of claims and other aspects between the creditors) are legal and enforceable in Denmark. However, these agreements are only binding upon the creditors, and not the administrator of a bankruptcy estate. The administrator will pay dividends according to the formal priority of the claim, and will not consider any intercreditor agreements. The creditor with priority under the agreement will have to collect the dividend from the other creditors. A subordinated loan is classified as a simple claim but takes the last priority. The administrator will only pay dividends to the subordinated loan once all other simple creditors are paid fully, but before any of the subordinated claims (see above) receive dividend. As a general rule, the administrator is under an obligation to respect a pledge even if the claim is classified as subordinated in the legal priority. A pledgee may try to satisfy his or her whole claim through a forced sale of the pledged asset, including interest, but only insofar as the pledged asset does not cover the whole claim, the pledgee shall file the claim with the administrator under the same priority rules as for any other creditor. Pledges may be reversed as stated above. In the European context, Danish courts are bound by the Brussels I Regulation recast and adopted as of 2012. This regulation effectively leaves it to the parties to agree to a venue, provided the agreement follows the forms of the regulation. In the absence of a venue clause, a party shall be sued in the court of that party's Member State. The general rule is widely derogated from, not only because most commercial contracts include a venue clause, but also because the regulation contains several special rules on venue including that of exclusive jurisdiction. The system of the Brussels I Regulation is widely repeated in the national legislation that applies between third parties and Danish parties. The parties may choose a venue, and in the absence of this clause, a party shall be sued in his or her own state, unless one of the special venue rules apply. Denmark stood apart from the rest of continental Europe in not subscribing to uniform European legislation on the jurisdiction, recognition and enforcement of judgments in civil and commercial matters as represented by the Brussels I Regulation from the outset. However, following an agreement in 2005 and despite its continuing opt-out from European legislation in justice-related matters, a judgment obtained from the courts of any EU Member State or in Norway, Switzerland or Iceland will be recognised and enforced if it is referred to in the Danish courts. Many finance contracts use Copenhagen arbitration as the agreed venue. The Maritime and Commercial Court has a system of commercial judges and is an often-used venue for commercial disputes. When finance is provided by foreign financial institutions, a venue outside Denmark will frequently be chosen, often based on foreign law (often English law) being chosen. In general, Danish courts, like their Scandinavian counterparts, are likely to recognise and give effect to a foreign choice of law clause. In the absence of a valid choice of law by the parties, Denmark has consistently implemented the 1980 Rome Convention on the Law Applicable to Contractual Obligations, the forerunner to the Rome I and Rome II Regulations. In this light, Danish courts will provide that in such an absence, the contract shall be governed by the law with which it is most 'closely connected'. In this respect, Danish courts uphold a rule that is flexible enough to confer significant judicial discretion to determine the applicable law. Indeed, this is a unique position in comparison to other European jurisdictions, hamstrung by the subsequently agreed Rome I and II Regulations, which enforces a presumption that the only relevant connection is where the performer of the contract is domiciled. Denmark recognises the parties' rights to choose arbitration as the competent forum. The parties may decide the number of arbitrators, and in absence of such choice, the number of arbitrators will be three. Denmark has ratified the UN Convention on the New York Convention on the Recognition and Enforcement of Foreign Arbitral Awards 1958. Under this Convention, a foreign arbitral award will be enforced in Denmark without any previous trial before the courts. In Denmark, in case of the acquisition of a publicly listed (on the stock exchange or on other regulated markets in Denmark) company, the takeover rules of the EU Market Abuse Regulation 2014/596, the new Danish Capital Market Act (No. 12 of 08/01/2018) Chapter 3, the Executive Order on Takeovers17 and the Danish Companies Act apply. Together, they provide procedural guidelines for each part of the takeover process. In Denmark, the acquisition of public companies is usually effected with the intention of the buyer to delist the entity to precipitate managerial and directional change. In order to achieve this, a buyer and those acting in concert with him or her will seek to achieve full control of the company, namely, 90 per cent of share capital. However, it is common for many Danish listed companies to issue a number of classes of shares, for example, A and B, with varying degrees of preferential rights to prevent a hostile takeover achieving this outright. These provisions are found in the ownership structure of many large Danish companies, Carlsberg to mention one. Often, a foundation controls the company by having the shares with superior voting rights (A shares) whereas the normal shares (B shares) are listed and often held by large institutional investors. In this regard, the legislation provides the means for a gradual, if inevitable and eventual, takeover should circumstances provide. Sometimes, families hold the A shares, and in such a case, it is possible to acquire control with a listed company by having the support of the A-shareholders before launching a tender offer to the B-shareholders. A recent academic article published in the Nordic Company Journal18 documents that the takeover premium in Denmark equals 30 per cent. Moreover, the authors show that the premium does not depend on whether target shareholders are compensated with shares in the bidder company or alternatively with cash. On the other hand, the takeover premium is significantly higher for voluntary tender offers than mandatory offers as well as when the offer is recommended by the board of directors in the target company. In many cases, as part of a friendly takeover, an acquirer will seek to open negotiations with individual shareholders and purchase shares gradually, the disclosure of which will be necessary for every piercing of thresholds of 5 per cent of the share capital (i.e., 5, 10, 15, 20, 25, 30 and so on). However, should the shareholder subsequently acquire a controlling influence over the company (i.e., one-third of the voting rights through the direct or indirect transfer of shares), one is mandated to offer to purchase all outstanding shares on identical terms – the mandatory bid.19 A controlling influence can also be elicited whereby the shareholder exercises a majority of the voting rights according to an agreement with the shareholders or articles of association, and also has the ability to determine the financial and operational affairs of the company. However, such a bid can be avoided in the event the acquirer submits a voluntary bid to all shareholders provided they obtain more than 50 per cent of the voting rights. As regards the latter, the offeror is entitled to make his or her offer conditional on acquiring competition clearance, or a specified level of acceptance so as to confer controlling influence (as above) or 90 per cent of share capital and voting rights to result in a legal squeeze out. However, in either case, a prospective acquirer must submit an offer document that must include details indicating how the offer may be financed, the terms of the offer and the price. For instance, there must be a deadline permitting enough time for shareholders to make a well-informed assessment of the offer and the future plans for the company, in other words, if a prospect to distribute profits will be refused within the first 12 months. All matters within the offer documentation, including potential details of the syndication of loans, will be subject to confidentiality agreements as, combined, the details represent insider information. Assuming the buyer wishes to delist the entity, the acquirer would need to secure more than 90 per cent of the share capital and voting rights to precipitate a minority squeeze out or the compulsory redemption of outstanding shares, as given in Section 107 of the Companies Act. This would confer the necessary control to engineer permanent organisational change and request a delisting from the Copenhagen Stock Exchange,20 but that is by no means automatic. Provided there is no significant harm to minority shareholders while taking into account the number of minority shareholders and value of the shares, a delisting will normally occur. However, famously, the takeover of TDC, a Danish telecommunications company, was thwarted by ATP, the Danish pension fund, which refused to have its remaining 10 per cent of shares redeemed. The circumstances under which a minority squeeze out can occur remain contentious, and will likely be subject to further review. With recent changes to legislation now in effect, the Danish market can look forward to a period of certainty and growth in leveraged finance, particularly as growing confidence in the European market continues to be felt in Denmark. At the moment, financial institutions both in Denmark and internationally seem eager to provide transaction finance, albeit that the remains of the financial crisis is being felt and credit departments are more vigilant and have more focus on requiring solid security packages. The new regime for when write-downs have to be taken by banks if a loan goes sour (earlier than before) also sometimes prohibits the financing of M&A transactions, as banks always consider the specific risk profile of a financing deal. However, increased regulatory pressures from the EU and the prospect of further regulation in the future may mean the industry must stay adapted to potential changes. Moreover, with the Danish implementation of the new Shareholder Rights Directive 2017/828/EU new rules regarding identification of shareholders, exercise of ownership rights, related party transactions and the regulation on incentive remuneration will be introduced in the Danish Company Act. The implementation is planned to be completed by mid-2019. 1 Nikolaj Juhl Hansen is a partner, Søren Theilgaard is senior counsel and Caspar Rose is an associate/senior counsel at Magnusson Denmark. 2 Tomas Kruger Andersen, Private Equity: Transactions, Contracts and Regulation, First Edition, Djøf Publishing (2015) p. 183. 3 Financial Business Act, Consolidated Act No. 174 of 31 January 2017. 4 Directive 2006/48 of 14 June 2006 relating to the taking up and pursuit of credit institution business. 5 EU Market Abuse Regulation 2014/596. See also Act on Capital Markets No. 650 of 8 June 2017 and amendment to Financial Business Act No. 665 of 8 June 2017. 6 Securities Trading Act, Consolidated Act No. 251 of 21 March 2017. 7 Companies Act, consolidated Act No. 1089 of 14 September 2015. 8 Regulation 575/2013/575 of 26 June 2013 on prudential requirements for credit institutions and investment firms. 9 Directive 2013/36/ of 26 June 2013 on access to the activity of credit institutions and the prudential supervision of credit institutions and investment firms. 10 Companies Act, consolidated Act No. 1089 of 14 September 2015. 11 Directive 2011/96 on taxation applicable for parent companies and subsidiaries of different Member States. 12 Companies Tax Act No. 1164 of 6 September 2016. 13 Directive 2017/1164 of 12 July 2016 on rules against tax avoidance practices that directly affect the functioning of the internal market. 14 Companies Act, consolidated Act No. 1089 of 14 September 2015. 15 See Government Order No. 275 of 25 March 2010. As a general principle parent companies in OECD group 0 and 1 countries are qualified to receive loans and guarantees from Danish subsidiaries. These countries include Western European countries, Australia, Canada, Hong Kong, Japan, Singapore and the United States. 16 Bankruptcy Act, consolidated Act No. 11 of 6 January 2014, Section 64 et seq. 17 Executive Order on Take Over Offers, No. 562 of 2 June 2014. 18 Rose and Guldbech in Nordisk Tidsskrift for Selskabsret, No. 2/3, pages 52–77, 2018. 19 Capital Markets Act, Section 44-45. 20 Capital Markets Act, Section 78.